Positives: Reputable company, some good ingredients. Negatives: In our opinion it is not as strong as it could be. Others preferred. The name says it all—Slim Science Appetite Suppressant, but it could be the name understates the capsules’ abilities because some of the ingredients used in the formulation are known to provide other benefits as well, including fat blocking. Appetite suppressing supplements are designed to help assist the weight loss process by reducing the feelings of hunger that are generally experienced by anyone who is trying to cut back on their eating in order to lower their calorie intake and lose weight. These hunger pangs often prove too powerful for dieters to resist, so any formulation that can successfully minimise the desire to eat offers dieters an obvious advantage. Slim Science Appetite Suppressant is manufactured in the US by Slim Science, and the GNC Live Well chain of stores appears to be the main distributor in North America. GNC is a big company with an outstanding reputation; so the fact that GNC has opted to become such an important distributor of Slim Science products is a good endorsement. Companies like GNC do not partner with suppliers of questionable reputation and, in 2013, Slim Science gained a further pat on the back when they won GNC’s Innovation Award. The main ingredient in Slim Science Appetite Suppressant capsules is a patented version of garcinia cambogia extract called CitriMax. Each three capsule dose contains 1500mg of CitriMax and this provides 900mg of hydroxycitric acid (HCA). HCA is a naturally-occurring compound found in the rind of the fruit garcinia cambogia. Although further study is required, HCA appears to have the ability to dull the appetite and supress fat cell formation. It is one of the most popular weight loss ingredients of the present day. In one study, conducted at the University of Houston (2007), rats were fed water that had been supplemented with CitriMax. Subsequent measurements indicated the solution reduced the rats’ food intake and provided notable weight loss over the seven-week study period. Vitamin D3 (200IU): Although vitamin D3 is unlikely to directly influence the weight loss process, deficiencies of it may lead to weight gain, so its inclusion here is not without merit. Satiereal (176.5mg): A patent-protected form of saffron extract. It assists weight loss by increasing levels of serotonin. This produces a feel-good factor that naturally supresses the appetite. In one eight-week study, conducted in France (2010), a group of healthy (overweight) women, all of them compulsive “snackers” were given saffron supplements and lost significantly more weight than the placebo group. L-Tyrosine (37.5mg): Some studies suggest supplementation with the amino acid L-Tyrosine can enhance the mood and suppress the appetite. Other potential benefits include improved athletic performance and muscle gains. Mucuna Pruriens Extract (25mg): A substance taken from an Indian plant. It provides a compound called L-Dopa that acts as a mood enhancer. Gymnema Sylvestre Extract (25mg): Extracted from the leaves of an African shrub, some studies suggest gymnema sylvestre may have the ability to boost the weight loss-enhancing abilities of HCA. According to the label, one capsule should be taken three times a day, 30 to 60 minutes before eating a meal. Some customers state Slim Science helped them lose weight, others claim the formulation did not work at all. 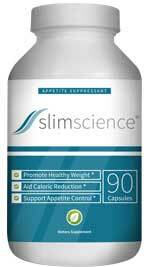 Slim Science Appetite Suppressant contains only natural ingredients, but side effects cannot be ruled out entirely. Mucuna may cause a minority of users to experience nausea, feel bloated, or suffer from insomnia. L-tyrosine may trigger headaches. Pregnant or nursing mothers should avoid using supplements unless their use has been sanctioned by a doctor. People who have health problems or concerns should speak to their GP before using dietary supplements of any kind. It is not possible to purchase Slim Science Appetite Suppressant direct in many countries including the UK and Australia, but finding an online supplier should not be difficult; the capsules can be purchased from Amzon.com, GNC, and LuckyVitamin.com. It is also possible to buy the capsules directly from the manufacturer’s website for $59.99 (£40) and all purchases are protected by a 30 day money back guarantee. Site visitors are also offered the opportunity to apply for a free 14-day sample, but will need to remember to contact the company within 18 days, should they decided the product is not for them, to avoid receiving any further shipments of pills. This is explained more fully on the Slim Science website’s FAQs page. Arguably the most high profile appetite suppressant there has ever (and still does) exist is Phentermine. Phentermine is a controlled substance and only available via prescription for most countries. 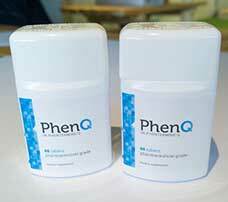 There are however products such as PhenQ that can mimic the effect of Phentermine and also provide other benefits such as fat burning.